We specialize in these industries and have worked with high risk merchants for almost 15 years. We work with businesses of all sizes and business models. If you are in need of Florida high risk payment processing, we can help. Often, merchants come to us when they have exhausted all their options. They have been turned away or terminated by traditional banks or their business is at serious risk of being terminated due to chargebacks or unpredictable volume. Merchants trust MerchACT because we don’t employ the “bait-and-switch” tactics of other merchant services providers. We also don’t cut into your profits by implementing volume caps, rolling reserves or outrageous processing fees. We have streamlined Florida high risk payment processing to make things as easy as possible for the merchants that work with us. 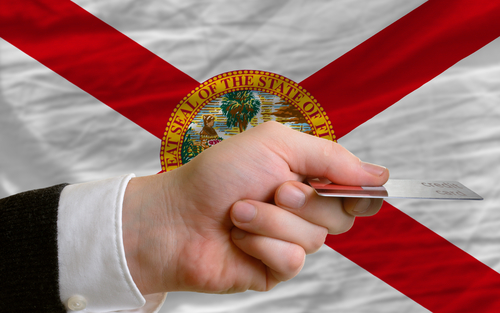 Chargebacks are a key issue when it comes to Florida high risk payment processing. MerchACT specializes in working with merchants who exist in industries where chargebacks are rampant. While traditional banks shy away from these industries, MerchACT has long-standing relationships with banks that are more open-minded and can provide stable merchant accounts. We also provide ongoing guidance and chargeback management to ensure that your payment processing capabilities remain in good standing. MerchACT specializes in helping Florida high risk merchants understand the root of their chargeback problem and find a viable solution to keep chargebacks in check. Direct sales and MLM merchants are some business types that face fluctuating volumes and unpredictable sales. While some payment processors may institute volume caps or “punish” merchants for trying to grow their business, MerchACT helps these businesses thrive and grow. We work with banks that understand that high volumes can be a sign of a healthy business. We get our merchants set up with merchant accounts that can support high volume and growth, so there is no worry about high fees, unnecessary fines or termination due to high volume. Some of our merchants are interested in expanding overseas but do not know where to start. Managing a high risk merchant account is a full-time job; when you add international expansion to the mix, it can become overwhelming. MerchACT works with Florida high risk payment processing merchants to get set up for success when expanding abroad. We provide a roadmap for expanding your business and we help you understand the intricacies and considerations that come with expansion. We augment your internal payments team to advise on currency, currency conversion, and international payment method preferences. We make PCI compliance seamless for our merchants through our PCI-compliant gateway. In addition to ensuring your transactions remain secure, we advise on the best suite of fraud prevention and risk mitigation tools and controls so you – and your customers – can have peace of mind. Some merchant services providers may leave you to your own devices, but MerchACT partners with you to find the best solutions for your business. MerchACT has been a leader in the Florida high risk payment processing industry for almost 15 years. We partner with leading banks across the globe to provide viable, scalable and flexible merchant account solutions to high risk merchants in a wide array of industries. We tailor our solutions to your unique business model and needs and provide ongoing guidance and support so you always have access to payments expertise. We partner with our merchants to provide a clear course of action with an eye toward transaction optimization and profit maximization. MerchACT works with merchants to help them remain financially stable and ready to grow. We specialize in working with merchants that are hard to place. We understand the intricacies and special requirements of this segment, and our seasoned team of professional payments consultants can advise on any issue or problem merchants face. Whether your company is brand-new or a long-standing business, MerchACT can help you set up your Florida high risk payment processing account. If you already have a merchant account but are looking to make a switch to a service provider that is more feasible for your business type, we can help. MerchACT’s custom high risk merchant account services are designed to help your business grow. We provide full-scale account support and can help you with every facet of payment processing. You select the services you want and we’ll adapt to your needs.